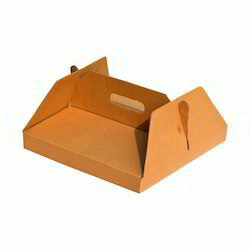 We manufacture corrugated pizza packaging boxes that are perfect for storage and delivery. 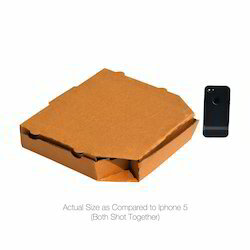 They are made of corrugated cardboard to ensure they retain heat and keep the pizza's as fresh as from the oven itself. 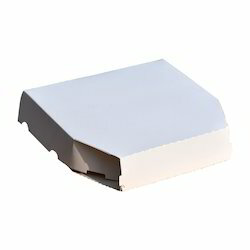 We offer the packaging in multiple sizes for single slices to complete pizzas. 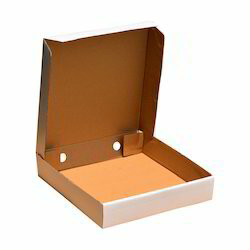 We also offer garlic bread boxes, burger boxes and other takeaway food packaging. we do custom printing of company brands/ designs to help our customers fulfill their branding needs. 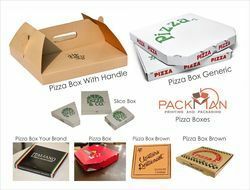 Our organization is counted amongst the most distinguished manufacturers, suppliers and traders of qualitative range of Pizza Boxes. The entire range of boxes is offered to patrons in different sizes, colors and patterns at most competitive prices. 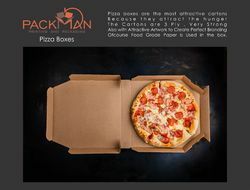 Furthermore, our boxes are used to pack pizzas as well as can be customized as per the demands of patrons. 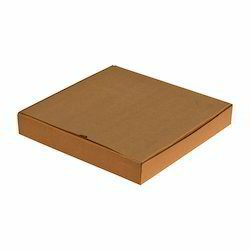 Pizza take away / delivery box for small sized piiza or slices. Keeps food hot and fresh. Is available in brown, white or custom printing. Medium sized pizza box. Available in white, brown or with custom printing. Keeps food hot and fresh. Medium sized pizza box. Available in white, brown or with custom printing. Keeps food hot and fresh. Available in domino's Design. Large pizza packing box. Available in brown, white or custom printed. Keeps food fresh and hot. Pizza packaging box with handle for carrying. Available in brown, white or custom printed. Keeps food fresh and hot. Available in Dominos design. Available in al sizes - small, medium, large and extra large. Garlic bread box. Available in white, brown or custom printed. Provides excellent food freshness and warmth. Can also be used for sandwich or other take away items.